A new bill was introduced requiring TRICARE to cover Applied Behavior Analysis (ABA) for all military children with developmental disabilities, including autism. 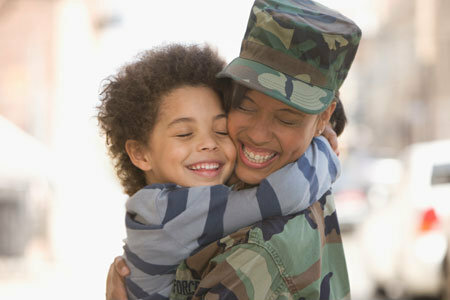 The Caring for Military Children with Developmental Disabilities Act of 2014, sponsored by U.S. Representatives John Larson (D-CT) and Tom Rooney (R-FL), marks the latest effort in Congress to improve and standardize medical coverage of ABA therapy for military families affected by autism and other developmental disabilities. It is estimated that 23,000 military dependents, including children of active duty, reserve and guard families, are affected by autism. Given frequent duty station changes and social turmoil of military service, military children affected by autism often face additional challenges that their civilian counterparts do not necessarily face every day. “Our common sense bill helps ensure that the children of our troops and military retirees have access to the health care services they need,” Rooney said. The bills, HR.4630 and S.2333, would provide access to ABA for all military children with developmental disabilities, improve coverage to address medically recommended treatment levels, and allow for coverage of the ABA tiered service delivery model which includes Board Certified Assistant Behavior Analysts and ABA Technicians. TRICARE now has three different programs delivering ABA services in three different ways, and not one of them is permanent. Please urge your U.S. Representatives and Senators to pass the new bill to make ABA coverage a permanent medical benefit under TRICARE for all military children affected by autism and other developmental delays. Visit Autism Speaks and take action by sending an email with your message of support for these military families in need. Written by: Different Roads to Learning on May 21, 2014.on May 22, 2014. This entry was posted in ABA, Applied Behavior Analysis, autism, Autism Awareness, autistic spectrum disorder, In the News and tagged ABA, Advocacy, family service programs, Military Children, Resources for Military Families, TRICARE by Different Roads to Learning. Bookmark the permalink.